I like the new combo – well, new for me anyway – I’ve thought of blueberry and lemon but never blueberry and orange!! YUM! Hi Kelli, I think you will love the blueberry-orange flavor combo. The flavor is great in anything… Try making blueberry-orange quick bread, blueberry-orange sauce on top of French toast, etc. Hi Eileen, I thought you might like this… If I remember correctly you didn’t want to have to cook the berries like I did with my previous blueberry-gin recipe. I bet you’ve got lots of fun stuff infusing, you always have great ideas! This looks wonderful! Love the idea of blueberries with orange. 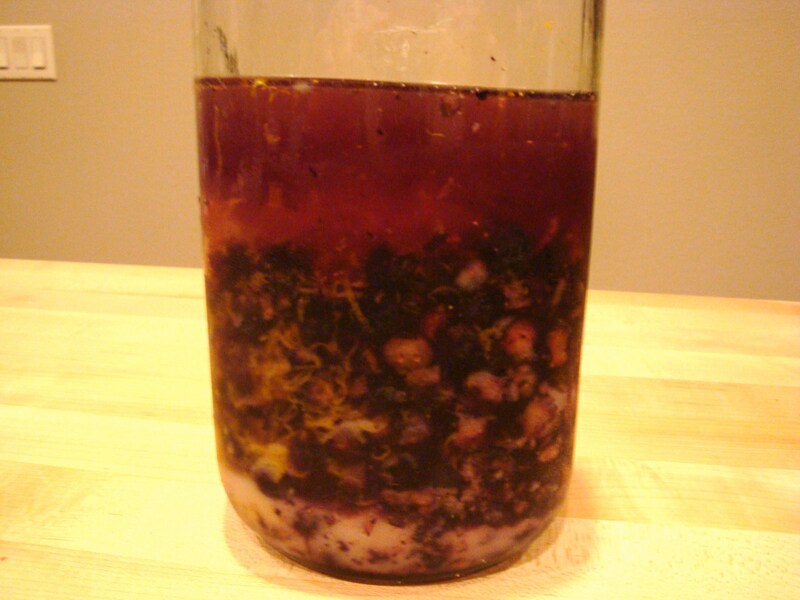 Thanks Kenley, have you been infusing any summer berries? Hope you are doing well! I have been infusing everything in sight! I feel like a squirrel storing up for winter – only mine is all liquid! Hi Pam, that is one of the best things about making so many infusions! You get to enjoy those summer flavors all year long. And a lovely berry liqueur cocktail can be such a great treat in the winter, or fall, or spring, or summer…..
What is your favorite infusion that you have made so far? Sounds so good, I want to head back to the blueberry patch (but I’m not sure there are any berries left!). Thanks! If the blueberry patch is bare, you can use frozen berries. (that’s what we did, but luckily they were local, organic frozen berries.) Maybe the farmers market will still have some? 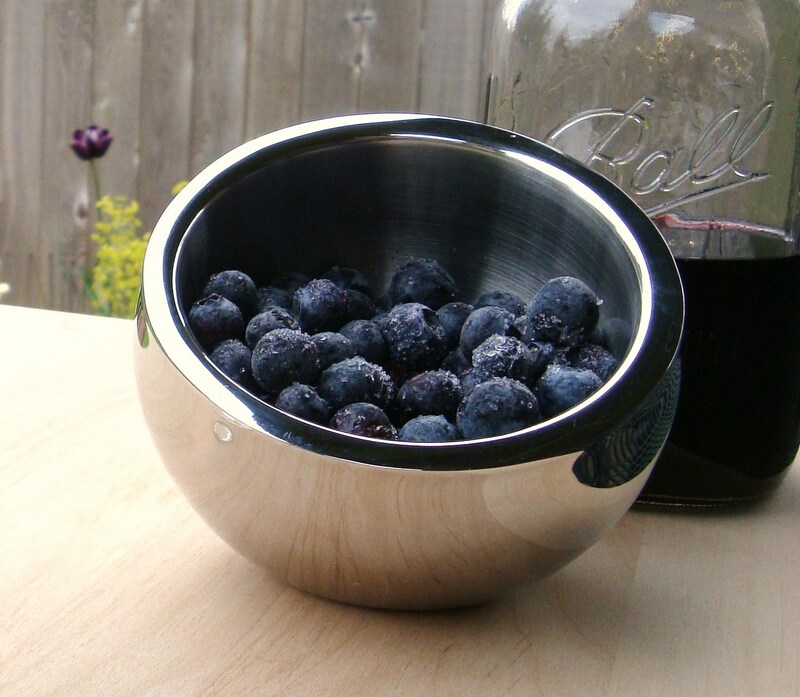 There are some blueberry varieties that ripen later than others… Good luck! Can’t wait to try this. I made some plum liqueur with some starting to go plums and it tastes great and the color is a beautiful pink! This sounds delicious. And I really dig your images, especially the first one. Well done! Thanks Courtney, you can store this at room temperature. The alcohol content is high, so there is o refrigeration required.